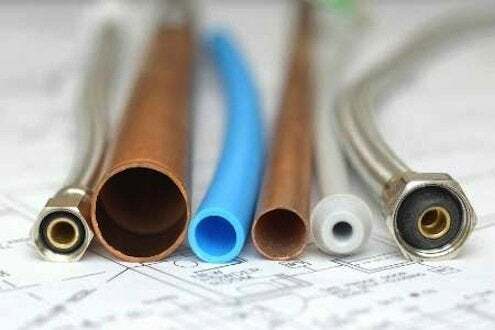 From small plumbing repairs to running lines for a whole house, there are lots of reasons PEX tubing beats traditional copper or PVC these days. For anything from small plumbing repairs to running lines for a whole house, there are lots of reasons PEX tubing beats traditional copper or PVC these days. First is cost: The price of copper is so high it’s become a target for thieves. A PEX system will run you about a third the cost, at around thirty cents a foot. Running PEX tubing through walls is like running stiff garden hose; you can “fish” it in long lengths, so it’s great for remodelers. It requires fewer connections, which can be made with cinch or crimp rings and a cinch clamp tool, which will run you around forty bucks. Compression or stab-in fittings are a little more expensive, but any of these beat sweating copper joints or breathing PVC glue. Best of all, PEX is much more resistant to bursting due to freezing than either copper or PVC. And it won’t corrode in acidic water conditions or at brass connections the way copper will, so this plumbing repair project should last you a very long time!